Chynhale, in the Porthleven Circuit, closed for worship in 2015. It contained a war memorial to the two men from the chapel who died in the Great War. 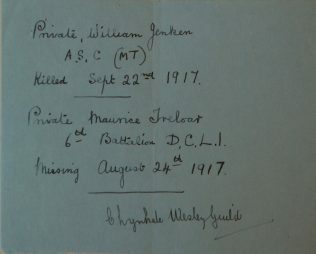 Pte William James Jenkin was 19 when he died. Pte. 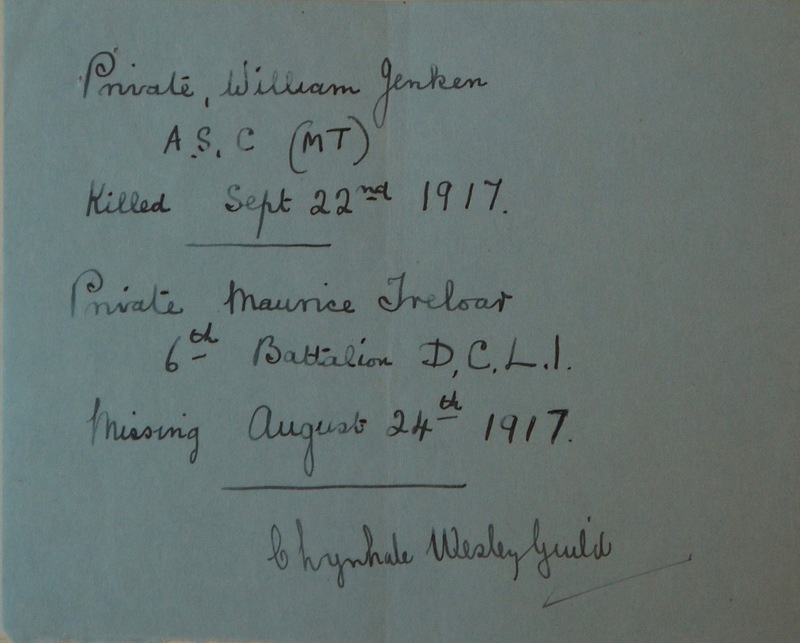 Maurice Treloar was baptised in the chapel on 18 September 1897, so would have been 20 when he disappeared.